I’m so excited! 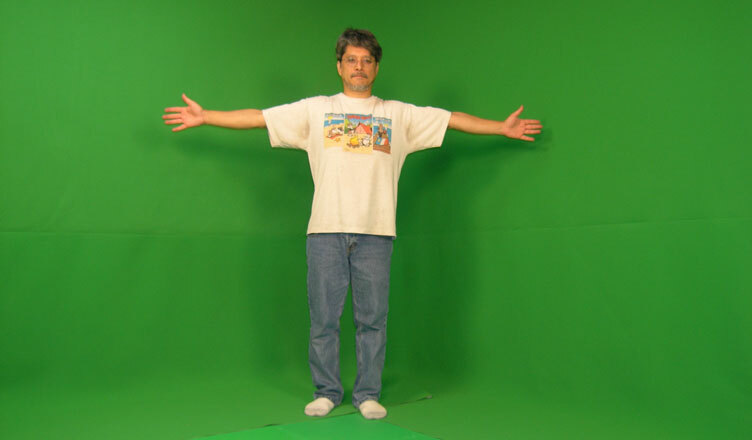 Team Little Green Dog now has its own green screen and motion capture stage. Granted, by ‘Hollywood’ standards, our stage looks like a teeny-tiny broom closet, but to us it means we can finally move forward with some of our film productions. For motion capture, we’ve been beta testing a system called iPi Desktop Motion Capture for about a year now. iPi DMC was very affordable (introductory price is $495, and the recommended Playstation 3 Eye cameras cost about $30 each,) and because it’s a markerless system, no special suit is needed. The system uses four PS3 cameras and a laptop to capture performances. I had to tap the metal base of the cameras to be able to securely mount them on c-stands but that turned out to be pretty easy. With the recent version 1.0 release, we’re getting surprisingly good results for what’s supposed to be an ‘entry level’ mocap system. I’ll post videos of the camera mod and test sessions in a few weeks. Right now I’m writing a Brudders mini-movie so we can test the system in a real production scenario. It should be fun.